The furniture-style Le Cache wine cabinets provide luxury wine storage solutions in various styles and sizes. Le Cache’s hand crafted wine cabinets made from premium klin-dried wood reflect exclusive style and refined elegance ensuring perfect conditions for storing and aging wines. Rich cherry wood veneers decorated with insulated framed panelings and artistic pulls, double-pane, tempered glass doors are the hallmark of Le Cache wine cabinets. As proof of the company’s confidence in their products’ quality, Le Cache cabinets come with 5-year warranty on the cooling system and 2-year warranty on the entire cabinet. The major strength of Le Cache wine cellars lies in their all-wood racking system that can accommodate even odd-size, large bottles (Burgundy, champagne) that many other wine coolers or wine cellars aren’t capable of. [/ezcol_1half_end]The premium cherry wood racks are finished and sealed. The structure is made with care with attention to the slightest details: tapered ends, precise fitting, hot-glue assembly. Model 5200 – can hold 522 bottles. Read our review of Le Cache Contemporary Wine Cellars. The European Country Series convey the classic elegance of European furnishings and are available in the same sizes as the Contemporary Le Cache cabinets. The cabinets in the Modern Series are stunning pieces characterized by graceful lines and marvelous details like scalloped trims and brushed steel metal handles. 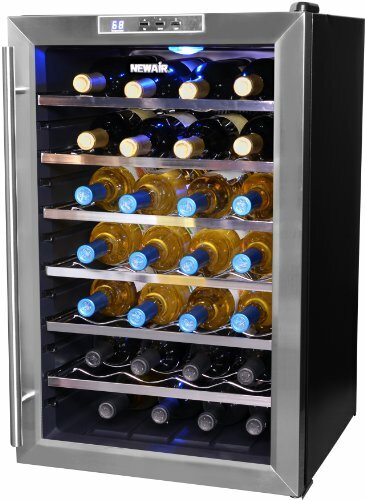 Le Cache Wine Vault Series is designed to endure harsher environments like in the garage or in the basement. Solid, well-insulated thick wooden doors ensure stable temperature inside the cabinet where you can store 368 bottles of wine. Credenza wine cabinets series includes two styles the Euro Credenza Wine Cabinet with 180-bottle capacity, and the Modern Credenza Wine Cabinet,fitting 103 bottles, reflecting the styles listed above under the same series names. Find more Wine Credenzas. Loft Series represent the most modern decor and the 2 models (the smaller unit holds up to 172 bottles, while the larger cabinet stores 286 bottles) suit modern-day apartment furnishings the best. Le Cache wine cellars are not only highly effective wine storage units but extremely elegant and finely made pieces of furniture that will impress even the most pickiest wine collector. What’s more these wine vaults will charm guests in restaurants or wine bars tempting them to taste the wines stored inside the unit. 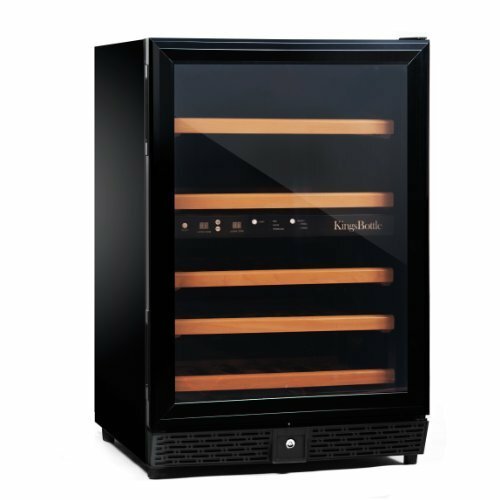 So if you’re looking for commercially approved wine storage units consider purchasing a Le Cache wine cabinet. 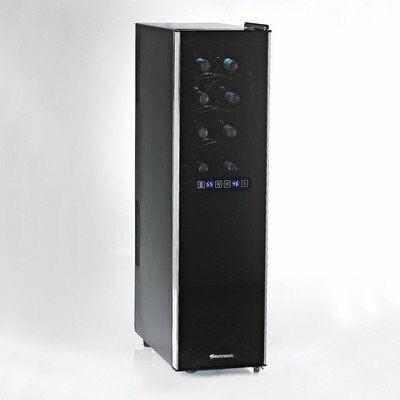 Price of Le Cache Wine Cabinets varies between US$ 3100 – 5000 depending on size and style. 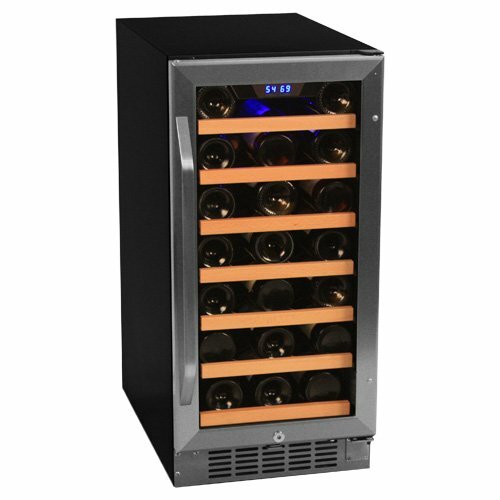 All Le Cache wine cellars come with 5 year warranty on the colloing unit and 2 year warranty on the cabinet. Fast Shipping – according to their website Le Cache ships every wine cabinet within 3-5 days from the date of purchase. Other manufacturers usually ship within 3-5 weeks. 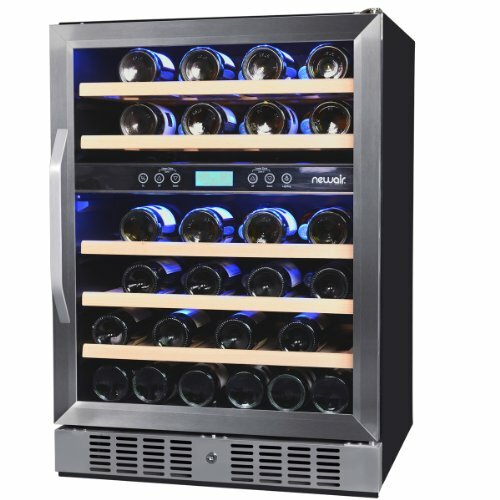 TIP: Find a good wine cooeler for aging wine at home.